The work is organized into a living backlog – the list of requirements or user stories. The backlog is prioritized by the team & Product Owner according to business needs. The goal is to first deliver what is most valuable to the Client in order to maximize the ROI (return on investment). Iteration is critical when building great software. You get features fast, provide feedback, and the team is able to quickly iterate again. We work in small manageable chunks of time called sprints. Each sprint is typically 2 weeks. After a sprint we will deliver a set of the most valuable (i.e. highest priority) user stories first. Sprints provide a control mechanism for managing variables as the project progresses. Everyday we begin with a stand-up meeting, at which point each team member discusses the progress they made in the previous day, the work they plan on completing in the day to come, and any obstacles they might’ve encountered. These meetings ensure individual accountability, while allowing us to outline goals and create solutions for roadblocks in a group environment. The week is concluded with the team demonstrating the increment to the Product Owner. Feedback is then gathered in order to make the necessary improvements to the product and process. We take an Agile approach to software development, designed for distributed teams. The process requires constant interaction between the development team and the Product Owner. We release early and often, in order to provide feedback from both sides, thus providing opportunities to react and adjust each feature. Besides the SQL family, we’re also proficient at non-SQL databases like MongoDB or DynamoDB. AWS for high storage requirements. 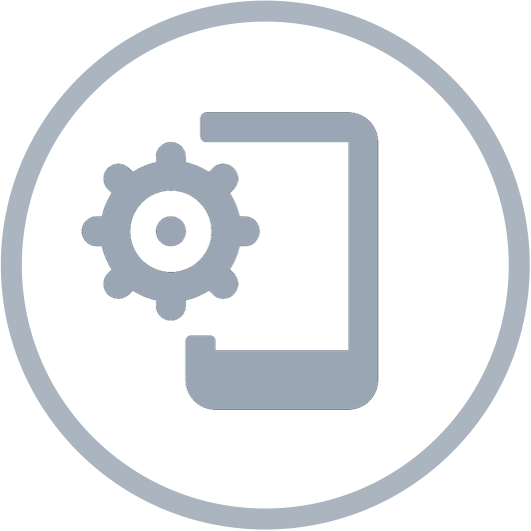 We develop native iOS and Android applications as well as hybrid applications with web technologies . We love TDD (test driven development) and BDD (behavior driven development), and automate processes whenever possible. Git enables us to keep track of code and publish updates to production while keeping code base in sync with our teams. We use various platforms for bug tracking, documentation and wiki, which serves as the customers window into the development of the project. We deploy in the Amazon cloud, but can also manage your hosting needs using other platforms or your own private environment. We’re a globally distributed development team with offices in United States and Argentina. We have a team of passionate developers, many of whom have been working together since 2008. We thrive on solving challenging coding issues through working in a team environment, which means there’s a good chance we will solve a project roadblock over a cup of coffee or mate during the day or a cold beer in the evening. Our team dynamic is one of our strongest assets. We work well together and never shy away from helping a co-worker resolve an issue. We get excited about coding and we spend a majority of our time inside, and outside, of work discussing new techniques and challenging each other to get better. A couple of times a month we enjoy going out to various places in Palermo to have a few drinks, some great food and celebrate a hard week’s work.